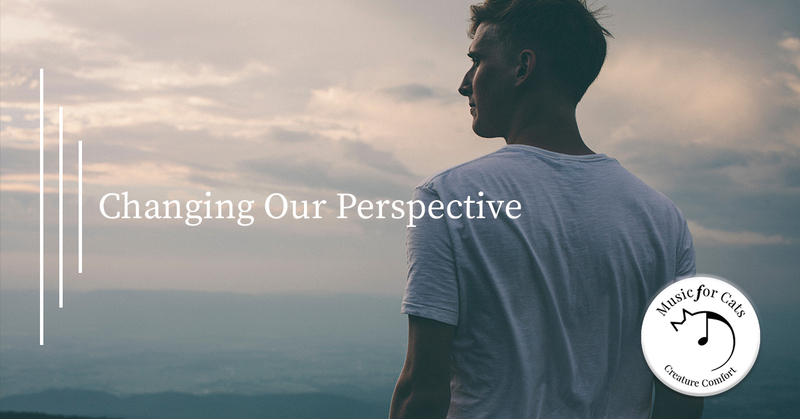 As we try to see through another’s eyes, we gain a more complete perspective and truer understanding of our world. Imagine seeing the world through the eyes of another species. My aim is to encourage people to look at the world as seen by creatures other than ourselves, to imagine seeing and hearing as other species see and hear. “Oh. I see,” she said dismissively and walked away. When we consider the other creatures around us, we are willing to provide for their health, but most people assume that they are primitive forms of life whose behaviors are directed by “instincts.” Therefore, art, music, and other beautiful experiences we have as humans are lost on the animals of the world. My particular contribution to this cause is to try to provide beauty for other species through music. Since I have joined the ranks of those who recognize that animals are conscious and sentient, just as we are, I have made that contribution my central and defining purpose. By studying the sounds that cats respond to and enjoy, we have successfully created cat music that is designed to please our feline companions. Think about the memories and emotions that a well-written song has evoked for you. We want to give this incredible experience to the other creatures around us, beginning with cats. Contact us today to learn more and give Music for Cats a try! We proudly offer our music free of charge to animal hospitals and shelters that do not provide declawing services. Reach out and see how this new, scientifically designed cat relaxation tool can work for your furry companion or the cats that are in your care.